The seafood industry in Mississippi is a big source of income for our area. Seafood is not only a part of our diet, but also a part of our lifestyle, heritage, and culture. Boiled, broiled, grilled, and fried seafood can be prepared many ways for all sorts of dishes. Seafood down South is truly a one-of-a-kind experience. I have made the mistake of trying seafood in other regions and, let’s just say, I could not wait to be home. Crabs, shrimp, and crawfish are just some of the few favorites for us Southerners. The first crawfish boil of the year tells me that summer is finally here. Seafood for some is their life and for others, a favorite food. It’s really the South’s claim to fame. Chicago has pizza, Buffalo has wings, but we have the real deal when it comes to seafood. 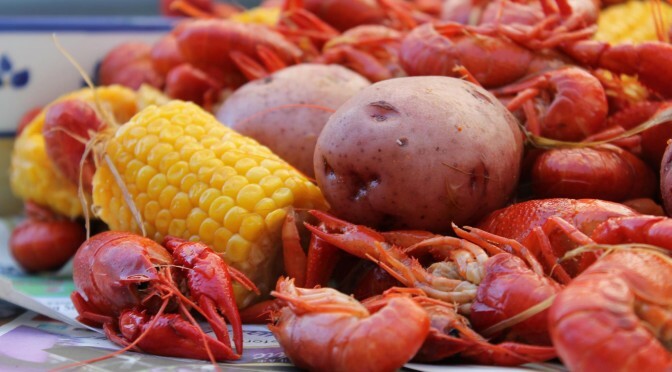 For me, seafood is right when crawfish comes back into season and all my friends and family get together and have a feast to celebrate the return of summer in Mississippi. It is something to look forward to each year. Seafood defines who we are as Southerners and, without it, the South might not be as amazing as it is, in my humble opinion! Seafood and the seafood industry is the King in Mississippi and nothing can take its crown. Nothing says, “Welcome to the South,” like a big tray of crawfish, a cold drink and a polite Southern smile. No matter where you are from or where you have eaten seafood, nothing can compare to the spices and flavors that we stuff into all of our amazing seafood. Nothing helps the good times roll like a seafood platter from any of our local seafood restaurants. That is why seafood has been crowned the King of Mississippi. You haven’t lived until you have tried our seafood. That’s a promise. To sum things up, seafood is a great source of food for Mississippi. The seafood restaurant craft has been perfected by the people of the South. It is our trade, food, and a huge part of our culture. Seafood is the most delicious thing the world has ever seen!